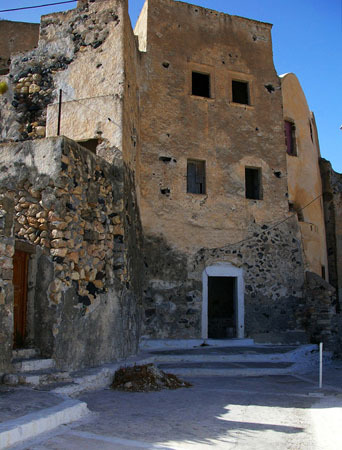 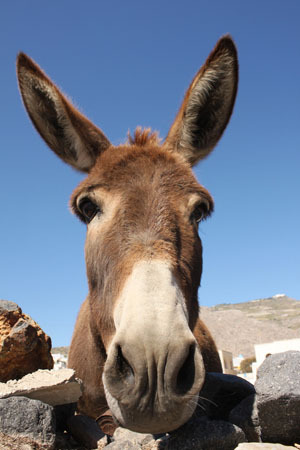 The largest settlement on the southern part of the island (12 kilometers from Fira), Emporio had an important position in the past. 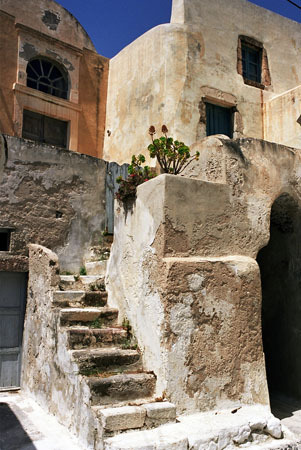 Its name suggests that it was the commercial center of the island. 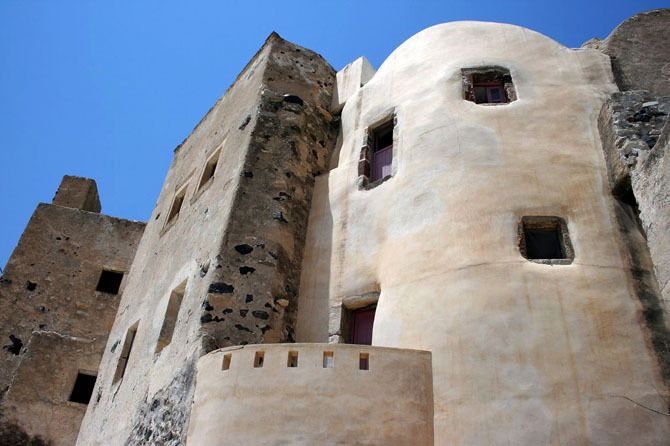 The most beautiful and best preserved castle of Santorini is located in Emporio, with houses built one next to the other, in such a way that their walls simultaneously create the wall of the castle. 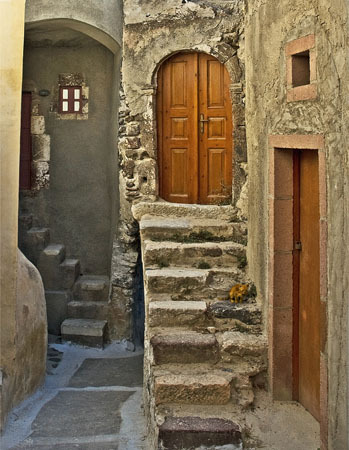 The castle had only one entrance, “The Door”, as it is called by the locals, and all the windows and the doors of the houses were at the inner part of the castle. 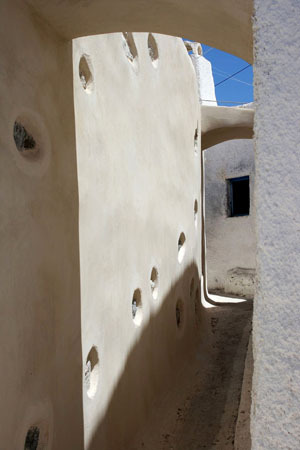 The interior of this fortified settlement is full of curves. 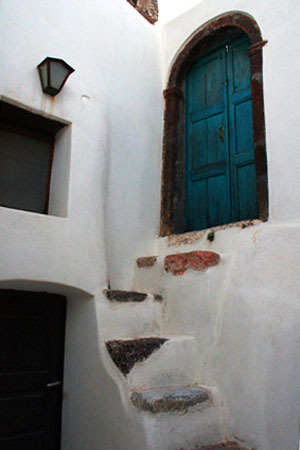 Benches, steps, walls… all have a curved finish. 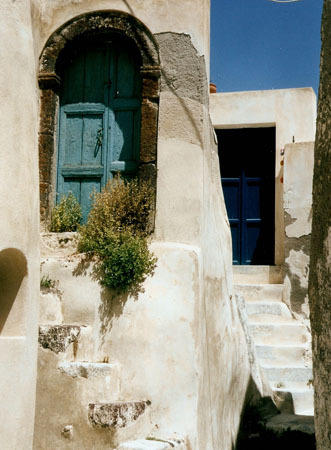 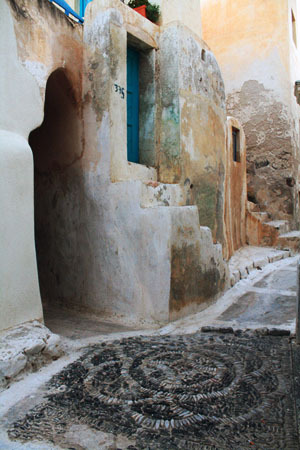 There are small, narrow streets, small doors, many of which bear carvings, little steps, small tunnel passages, and small courtyards, all in harmony with one another. 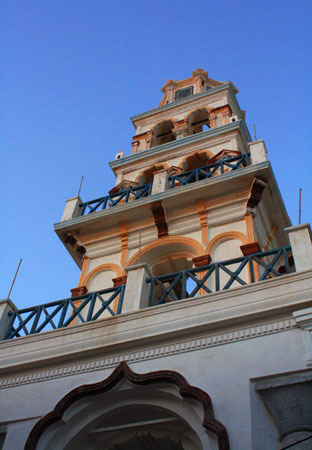 Inside the castle is the church of Palia Panagia (meaning 'Old Virgin Mary') or Panagia Mesani, with the impressive steeple, the old woodcarving temple with scenes from the Old and the New Testament and the pebbled floor. 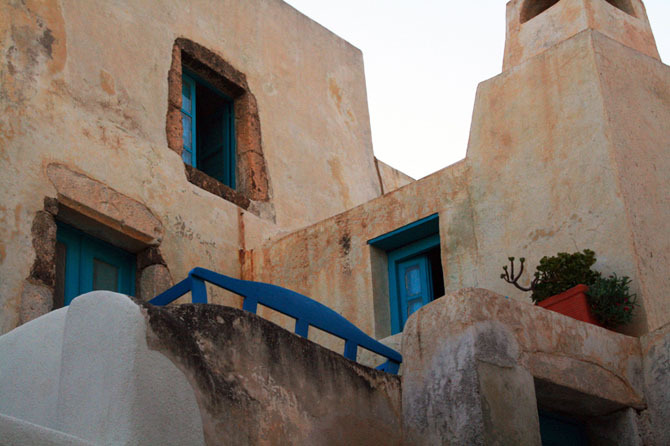 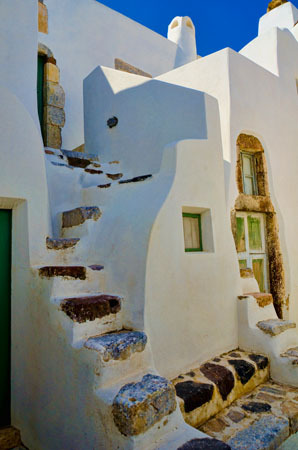 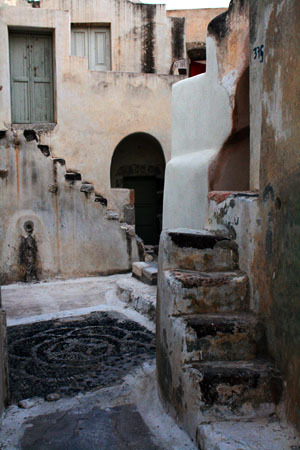 Photography enthusiasts will spend many hours there, capturing the simple architectural lines. 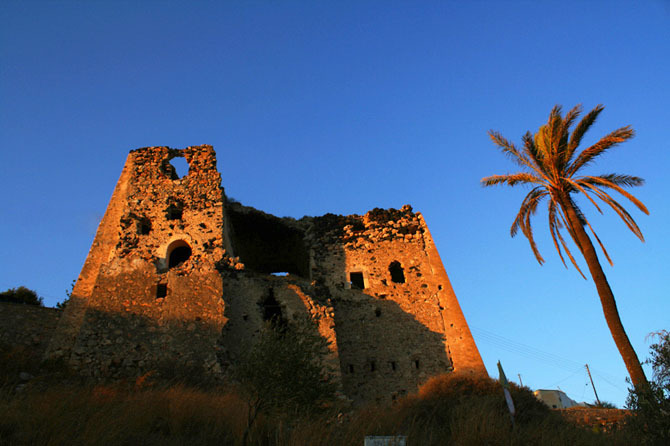 At the northern part of the island, outside the castle, is Goulas Tower, a rectangular defensive tower from the 15th century, the purpose of which was to protect feudal lords from invasions. 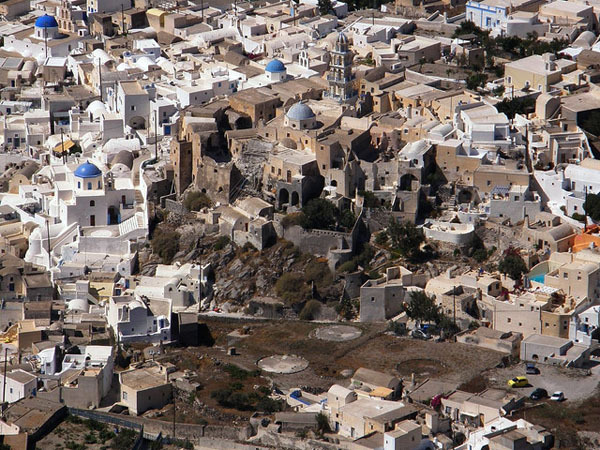 It is believed that it may have been built by the monks of the Monastery of Agios (St.) Ioannis of Patmos, aiming to protect the treasures of the monastery, and it also served as a monastery dependency. 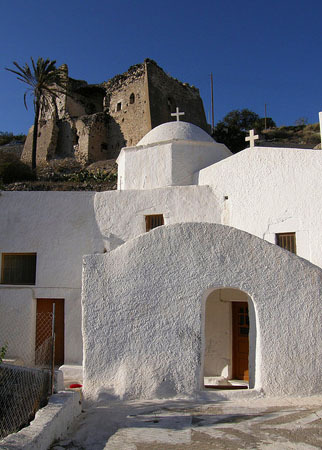 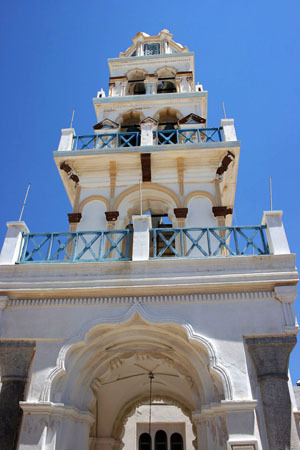 In Emporio you can also see the small church of Agios (St.) Nikolas the Marmaritis (from the carved marble used for its construction), which is built on a burial monument of the 3rd century BC, as well as the windmills on Gavrilos Hill opposite Goulas Tower, which is an archaeological zone because of the byzantine ruins. 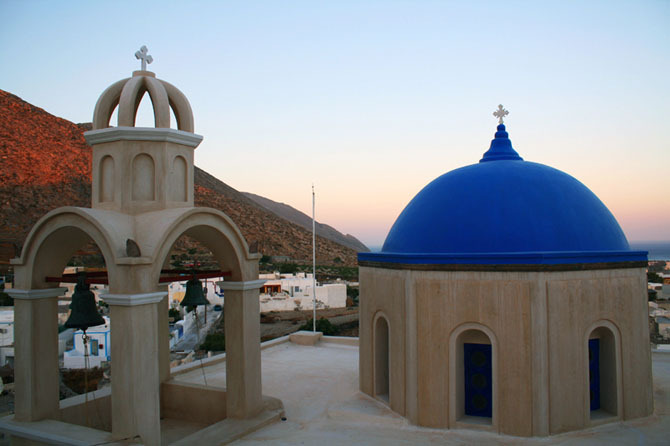 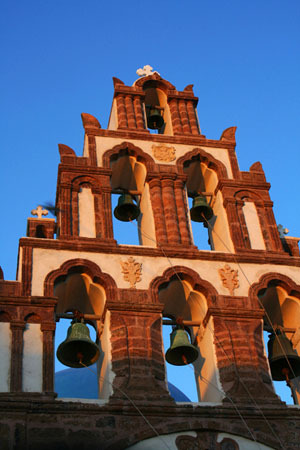 The two great festivals of Emporio take place on the 6th of August, at the church of Metamorphosi Sotiros (Transfiguration), and on the 22nd of October, the name day of Agios (St.) Averkios, protector of wine (the day when the barrels containing the wine of the new harvest are opened and the wine is tasted).